Mike Armstrong participated in the Doernbecher Freestyle program in 2007 while he recovered from a surgery to replace a valve in his heart. Mike Armstrong participated in the Doernbecher Freestyle program in 2007 while he recovered from a surgery to replace a valve in his heart. 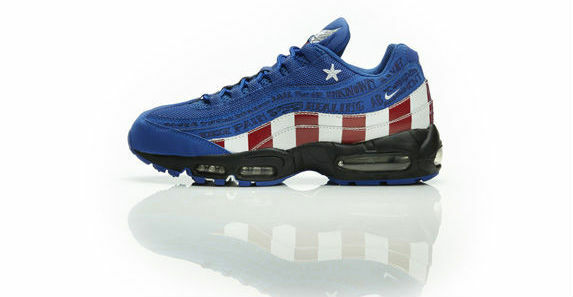 With a brother in Iraq and a huge patriotic streak, the fifteen-year-old had no trouble picking the theme for his signature stars-and-stripes Air Max 95. 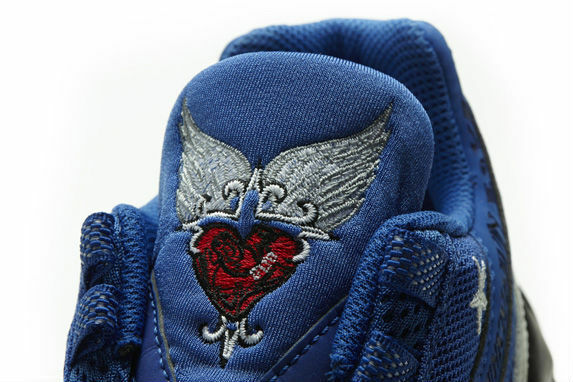 The blue, red and white upper is full of personal touches from Mike’s life, highlighted by the lasered words on the upper that chronicle his life and a personal logo with a heart, cross and wings. As for Mike, now 22, he’s still the same easy-going guy with a heart that’s going strong. He went on to receive his degree in Automotive Technology, and today spends his time enjoying the great outdoors and building very fast cars. 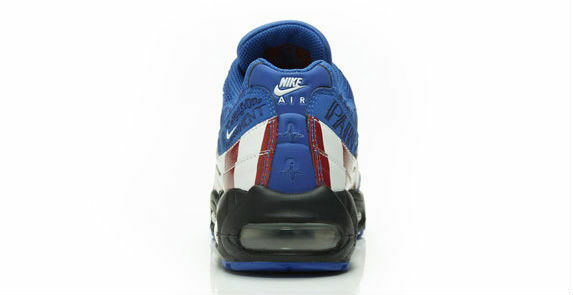 Mike's Air Max 95 will be released on Saturday, July 6 for $140 at nike.com, Niketown New York, Nike Georgetown, Nike Chicago, Nike Roosevelt Field, Nike Portland, Nike San Francisco, Nike Dallas, Niketown Los Angeles, Nike Lenox and Nike Las Vegas.